The Indian digital payment revolution seems to be taking a different route. Mobile phones have become a bigger source of non-cash payment methods in retail transactions than customers swiping their cards at Point of Sale (POS) machines. And the implementation of Goods and Services Tax (GST), not demonetisation, seems to have been a bigger and perhaps sustainable catalyst for digital payments in the Indian economy. Sure, the cash-squeeze after demonetisation forced people to shift to non-cash methods for carrying out their day to day transactions. ATM withdrawals fell drastically while the value of retail digital payment methods increased. 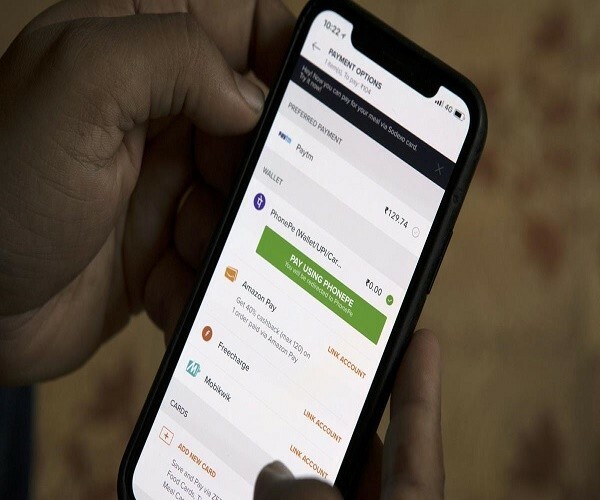 The latter category includes the following: POS transactions through credit cards and debit cards, Unified Payments Interface (UPI), Unstructured Supplementary Service Data (USSD), Prepaid Payment Instruments (PPI) and Mobile Banking. However, as cash came back in the system, the growth in digital payments deccelerated. ATM withdrawals once again surpassed digital payments by July 2017. This was also the month when GST was implemented. Interestingly, the trend reversed in the post-GST period. Digital payments started increasing, and this time in a more consistent manner. By May 2018, they once again overtook the value of ATM withdrawals. What is even more interesting is the churning within India’s digital payment space. Credit card POS transactions accounted for more than 60 per cent of the value of India’s retail digital payments in 2011-12. This shows that digital payments were credit driven and a preserve of the relatively well-off. One has to have a consistent and big enough income flow to be eligible for a credit card. This value has come down to 18.3 per cent in the year ending August 2018 (latest available data). Demonetisation does not seem to have played a role in this change. This value was 17.4 per cent in October 2016; the month before demonetisation. This statistic captures the transformation in India’s digital payment space. People are shifting to non-cash methods, not because they want instant credit, but because they see it as a better substitute for cash payments. This is where mobile phones have played a role. The digital payment space is getting more and more skewed in favour of non-POS methods and their transaction values are now more than twice the value of POS transactions from both debit and credit cards. What could be the possible explanations of such a shift? The rising dominance of e-commerce, which involves online payments, could be one factor. As more and more players enter the digital payment space, cash incentives for consumers have increased significantly. It is also possible that the combined incentives from online sellers and digital payment platforms have taken away a part of demand from what used to require cash transactions. While this could have been the pull factor, small businesses coming under GST compliance could have been a push factor. With a decline in ‘without tax’ transactions due to willingness to be a part of the tax-credit chain under the GST, over the counter cash purchases might have become more expensive. This is clearly good news for widening of the indirect tax base, although this formalisation also entails a squeeze on incomes of small businesses. Perhaps it is early days to make a pronouncement that the declining importance of cash in retail transactions is a permanent trend in the Indian economy. Things might change with evolution of regulation in the digital payment eco-system and ‘adaptive methods’ by small businesses which might be losing their businesses. There is another takeaway from these statistics. Even from the perspective of pushing digital payments, there were better policy alternatives to demonetisation. – Digital retail payments surged due to cash squeeze after demonetisation, but they came down as cash was restored in the system. – Digital retail payments started rising once again in July 2017 after GST was implemented. They have surpassed cash withdrawals from ATMs once again. GST has been a better and more consistent stimulant for digital payments than demonetisation was. – Incentives from digital payment platforms and e-commerce websites have attracted consumers from traditional purchases which were mostly carried out in cash. – The willingness to become a part of the tax-credit chain under GST has brought new businesses under the indirect tax net. This has made them amenable to accepting digital transactions, which was not the case earlier. – Non-POS transactions, such as mobile banking and e-wallets have grown at a very fast pace in India, and account for two times more transactions in value than debit card and credit card swipes at POS machines. This shows that mobile phones, rather than – Credit/Debit cards are driving the rise in digital payments. Previous articleIf Tirumala’s TTD Not Comes Under RTI Act, Why Legal Battle Rages In Hyderabad High Court? Is KCR’s Much-Hyped ‘Rythu Bandhu’ Scheme In Telangana Benefiting All Farmers?